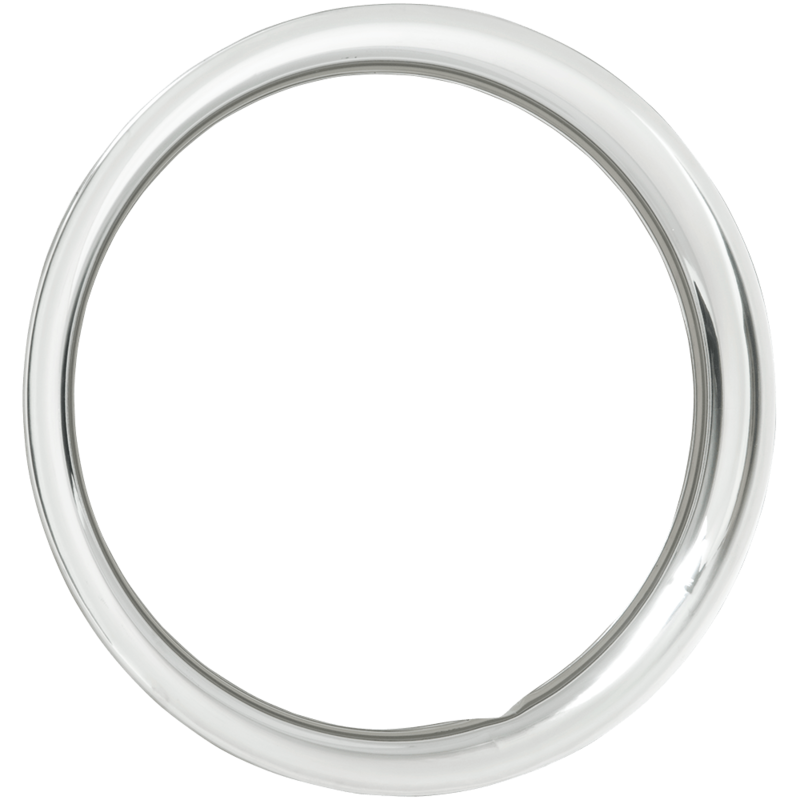 This stainless steel trim ring is 15 Inch x 2 inch round style. 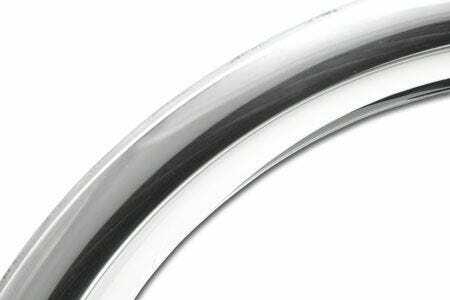 15 inch trim rings offers tons of fitment options in such a popular wheel diameter size. These are common fitments on endless OE and custom applications. These steel wheel trim rings feature stainless steel construction with a smooth, rounded profile. what trim ring fits the OEM Ford 15x6, 5x4.5 bolt pattern rim, and which outside knob caps fit this rim? We recommend no deeper than 2 1/2" trim rings. See 15' trim rings here: 15" trim rings and 10 1/8" caps, which are available here: 10 1/8 caps. fit 15x6 chevy ralley wheel ?? Yes, this is the correct trim ring for our 15x6 Chevy Rallye! I have 15x8 Chevy ralley wheels what trim rings do I use? You may use the 3" trim ring, listed here.